Fashion venues in general offer a new opportunity for live visual performance to thrive – even when its growth has sometimes been stunted by over-reliance on clients in clubland and the corporate world. So, it’s fitting that the favorite portfolio example from this week’s featured work comes to us by way of the runway. There, color and texture can dance across surfaces in ways that make light itself an extension of fashion. The example is labeled “projection mapping,” but it’s relatively recta-linear; it’s the content that comes to the fore. Mapping Fashion week Santiago from Telefunken Studio on Vimeo. For this project we build and design a runway compositions to be projected in the background of the show. We create a motion graphic design for each brand and designer so we can project fro the back of the triangle structure. We use four projectors Sanyo 15K each. The duration of the compositions was 15 minutes per designer. Here we have a quick review. 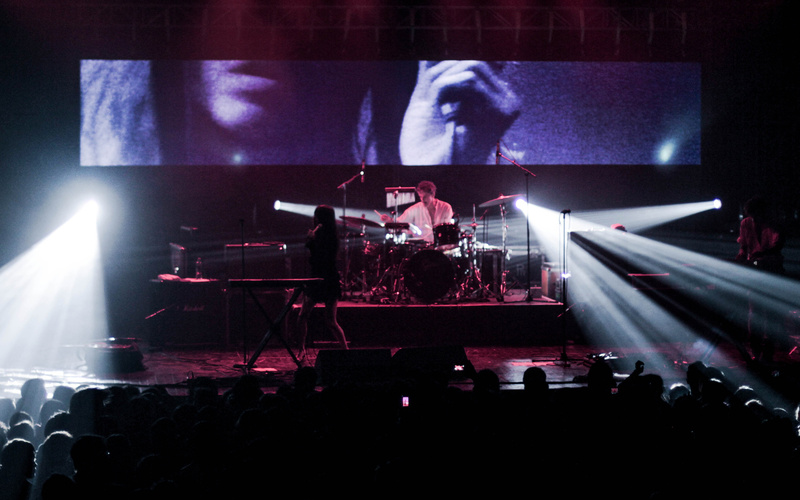 I’m also quite fond of this live show for Blonde Redhead. Here, it’s clear how a rectangle – the shape regularly derided by mapping fans – can actually make a statement, if well-considered. Live, zoomed-in video footage brings the audience closer to the performers. Equus – Blonde redhead – Live Santiago Chile from Telefunken Studio on Vimeo. 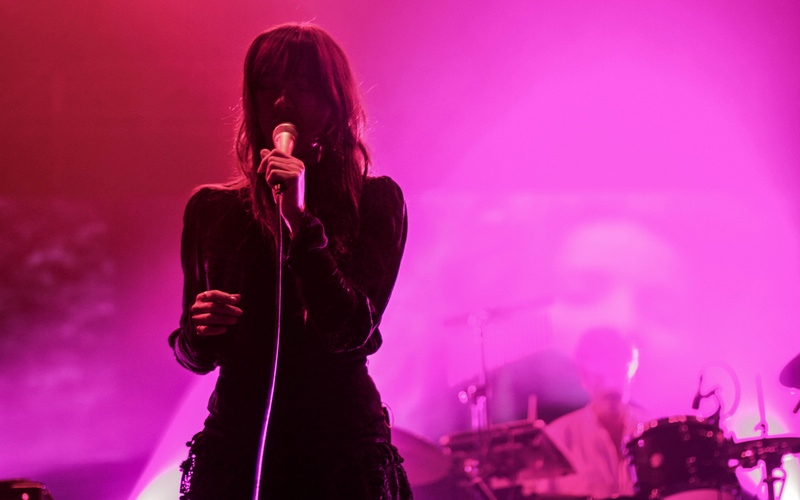 Presentación de Blonde Redhead el 28 de Septiembre. Teatro La Cupula. Track: Equus – Blonde redhead. Thanks, Diego! Keep us posted; we’d love to see more work, technical details, and ideas.